Oh yeah, it’s something new around the corner there. Google AMP for email. What does Google AMP for Email do? 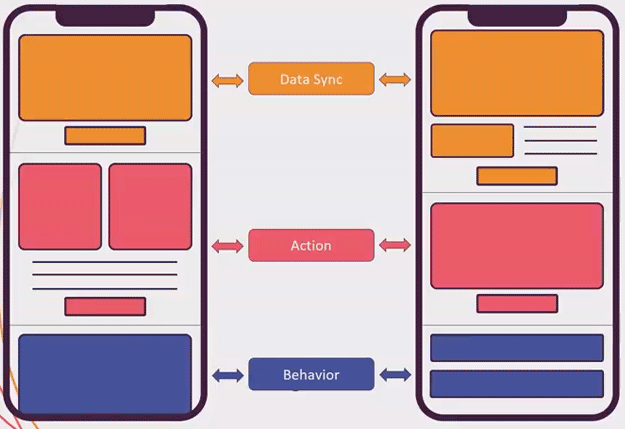 AMP for Email will make it possible to take simple actions (like booking a calendar appointment or RSVP-ing an event) directly within the layout of the email – users can interact with content without leaving the Gmail client and without visit a website. It can makes your email show app like or website like behavior. 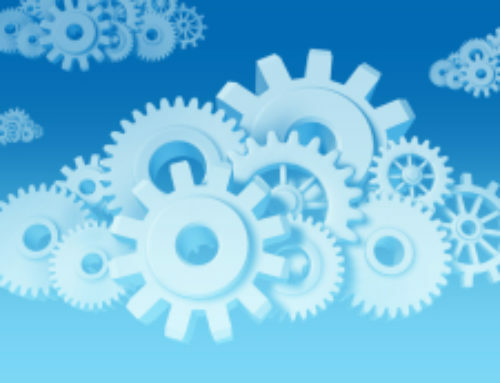 For instance changing content based on refreshing data, actions taken and behavior. 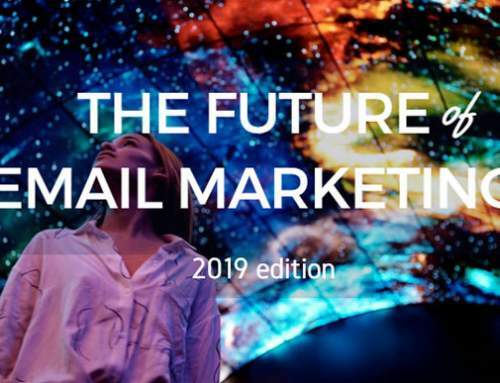 27-03-2019: Gmail shows off three use cases and announces it starts rolling out AMP for Email. In their latest post on the gmail blog. Marcel Becker, Director Product Management posted on the Verizon postmaster blog that Yahoo Mail will support AMP for Email. What does Google AMP for Email look like? Does everybody love the idea of google Amp for email? No -> Definitely not at this time. Also see developers chat and share their likes and dislikes on Github. 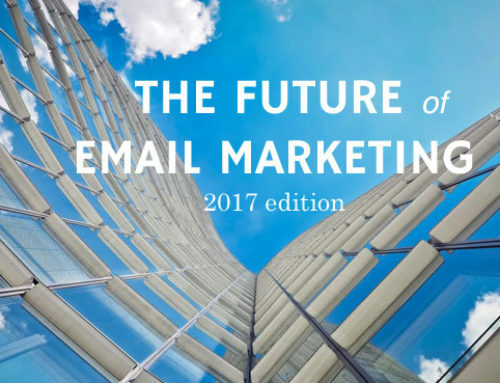 Interest in interactive email is high. 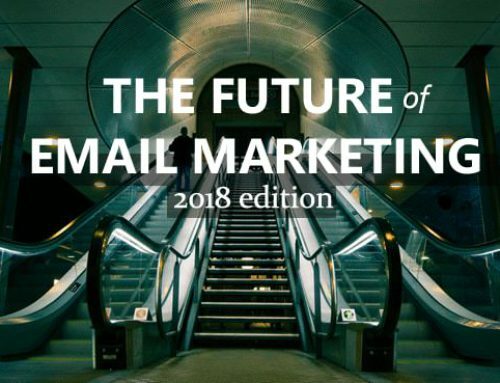 At the beginning of 2018, marketers told Litmus that interactive email is the top email design trend of 2018. 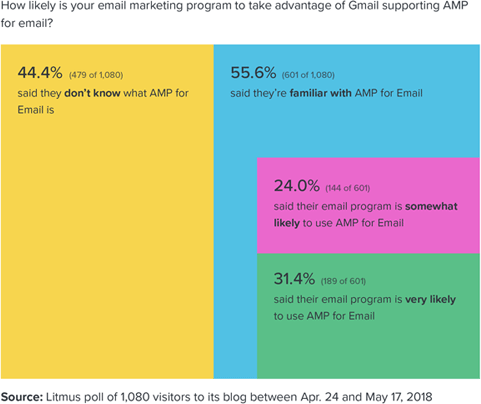 And as Google AMP promises a lot of interactivity….. A poll, also by Litmus, showed that 31% of the people that knew what AMP was, also thought it very likely that their email program was to take advantage of AMP. What can I do in Google AMP for email? 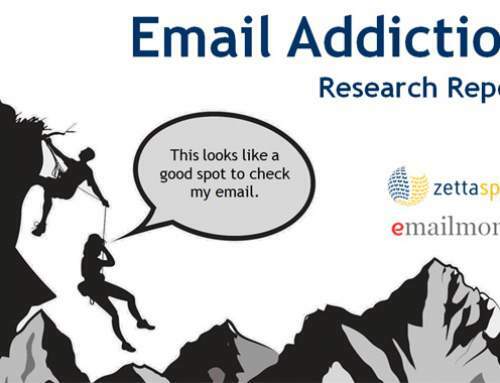 What does an AMP-ed email do? We are likely to find out what crazy stuff “people” will come up with. Amp by Example has a dandy list of functions and codes for AMP. Note to self: Add the ones that work here, directly + more examples linked. Google posted this video where Ben Morss from the AMP team, talks about interactive email with community members, especially AMP for email. 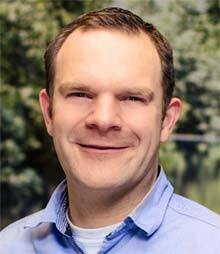 Mark Robbins from REBEL – held a presentation on AMP for email. Here are the slides he shared. Examples of Google AMP for email and interactive email video from the Brightwave EIQ, the intelligent Email gathering conference. 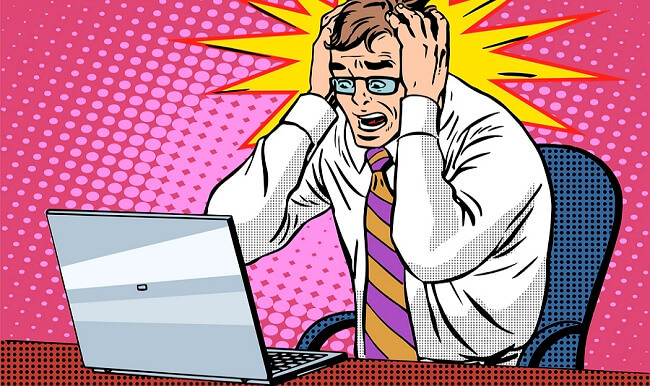 What might be holding marketers back from using google AMP?